At the summit, the Visegrad Group (V4), consisting of Poland, Hungary, the Czech Republic and Slovakia, submitted an appropriately-titled Joint Statement consisting of proposals for the future of the Union after Brexit. Unsurprisingly, the document calls for strengthening the role of the European Council, where member states sit, as well as of national parliaments. In the chapter on migration, the Visegrad Four call for halting the uncontrolled flow of migrants and for strengthening the EU’s external borders. “Migration policy should be based on the principle of the ‘flexible solidarity’. This concept should enable member states to decide on specific forms of contribution taking into account their experience and potential. Furthermore, any distribution mechanism should be voluntary,” the Visegrad group states. Under the plan, a “flexible solidarity mechanism” would be introduced, taking into account the “potential and experience” of each member state when deciding on the number of refugees it could accept. Slovakia recently showcased a bilateral project with Austria, in the city of Gabčíkovo, as an example of “flexible solidarity”. There, Slovakia is providing accommodation and food to Syrian refugees, who have applied for refugee status in Austria. 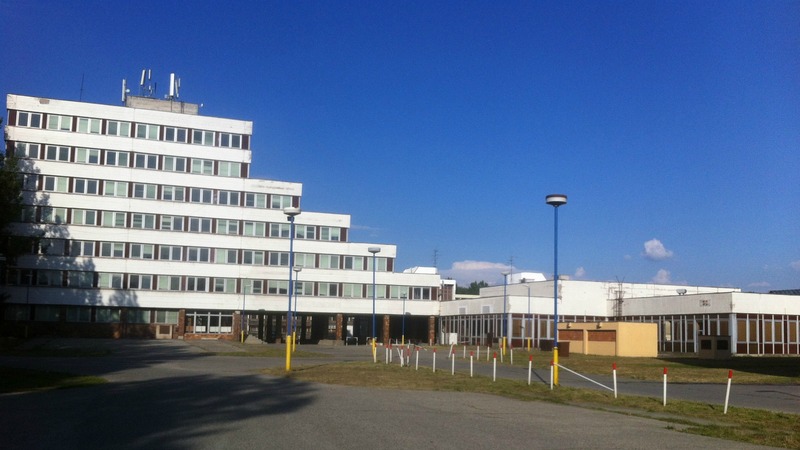 Slovakia, which holds the rotating presidency of the Council of the EU, has showcased the Gabčíkovo camp near Bratislava as an example that intergovernmental solutions can work better than the Commission’s relocation system based on mandatory quotas. Member states that are less developed economically “could contribute to the management of the migration crisis in another way,” Polish Foreign Minister Witold Waszczykowski recently said, mentioning as examples humanitarian programmes, refugee camps and supporting refugees “in countries close to conflict zones”. Another example of flexible solidarity is the assistance the Visegrad Group has already offered, outside the scope of the EU effort, for strengthening Macedonia’s border with Greece. The V4 has also offered similar assistance to Bulgaria, but the country’s Prime Minister, Boyko Borissov, has preferred to rely on EU assistance and policies. It also appears that EU leaders do not insist on relocation and mandatory quotas as the only solution to the refugee crisis. European Parliament President Martin Schulz said in Bratislava that the system of relocating refugees based on mandatory quotas in fact wasn’t working. 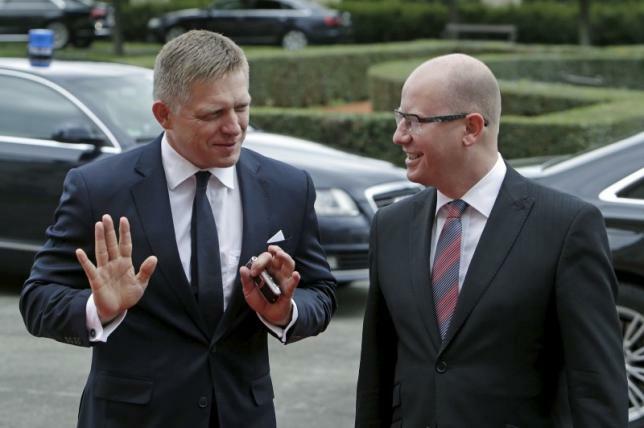 He also said he was looking forward to the proposal of the Visegrad group. The idea that relocation doesn’t work seems to be accepted by Germany. The European Commission is the only one to religiously promote the concept. 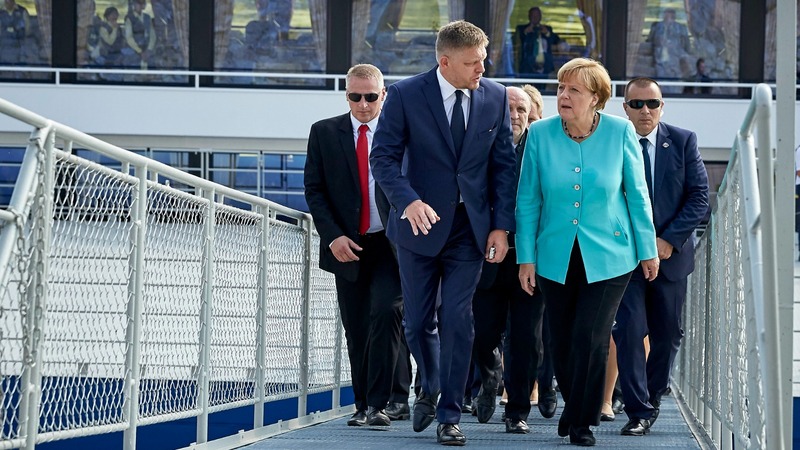 At the summit, German Chancellor Angela Merkel called “interesting” the initiative of “flexible solidarity”, adding that “looking for solutions is positive”. The positive response from Merkel seems to indicate that Germany doesn’t want to deepen divisions in the EU. But Eastern EU members should also be wary of double meanings. Germany and other net contributors to the EU budget could consider extending the concept of “flexible solidarity” when deciding on future EU funding for the least developed members of the EU, which are currently largely situated on the astern side of the bloc. @GeorgiGotev @FredSimonEU "Flexible solidarity" is something of a self-contraction.